Scarlett knows the terror of getting a knock on the door. She lost her husband when he died in the line of fire, and her heart couldn’t bear that dreaded news a second time. So it’s pre-decided. Connor McClellen, the rugged, six foot-plus firefighter can count on exactly one night with her. Or that’s what she tells herself. One night with a molten hot fireman who whispers dirty things and promises a glimpse of paradise. But one night with Connor quickly leads to another. With his slow, masterful seduction, he unravels her defenses and soon Scarlett’s falling for her protective and possessive fireman. One night with Scarlett? Connor has nothing against a quick hook-up, and if the pretty brunette wants to go home with him, he’s more than fine with that. He figures one night of hot action will cool his desire. But there’s nothing casual about their chemistry, and one mind-blowing night only makes him crave more. Scarlett’s not like any woman he’s ever known. While Connor plans how to win her battered heart, someone else in the small town of Monroe is making very different plans. 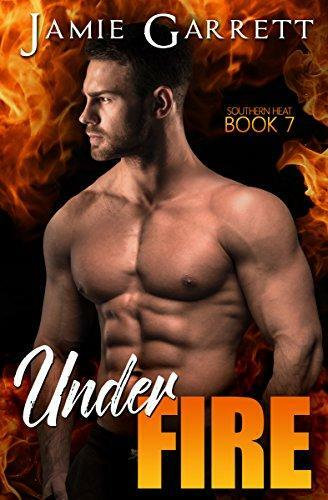 Under Fire can be read standalone and contains no cheating, no cliffhangers, and a happily ever after, guaranteed.